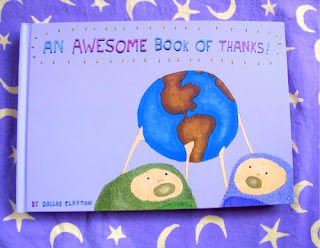 Thanks for all of your enthusiastic comments about the Dallas Clayton's books. I am certainly grateful to Dallas for sending two my way: one for me and one for YOU! "What a great book! I'm all for anything to teach more appreciation in myself and my children." Please contact me with your mailing address and I'll send it your way! I just have to say I love the screen name of who you picked...I definatly think we should all eat more smores...this book and any others by Dallas are being added to our ever growing book list!